The first drinking straw was constructed by winding strips of paper around a pencil and gluing it together. 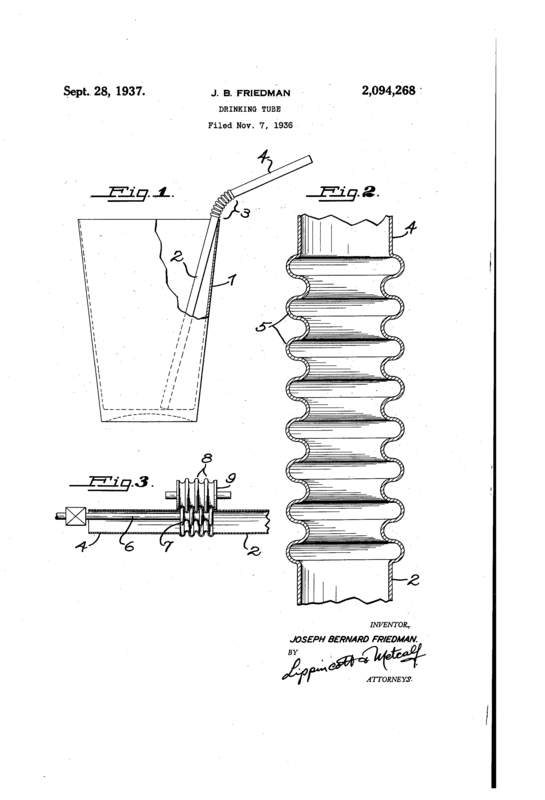 The first patent for a wax coated paper drinking straw (made by this spiral winding process) was issued to Marvin C. Stone of Washington, D.C. in 1888. Initially the straws were all hand wound, but in 1906 his Stone Straw Company invented a machine to wind the straws.